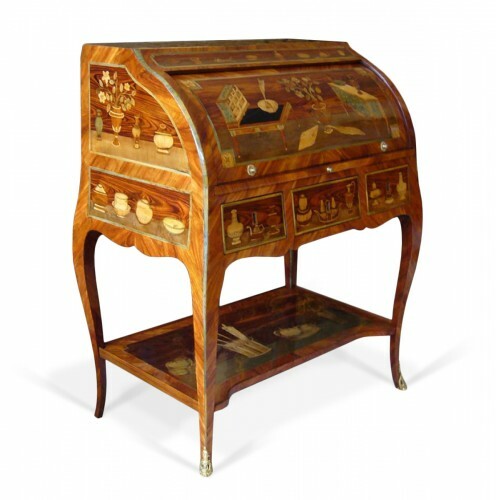 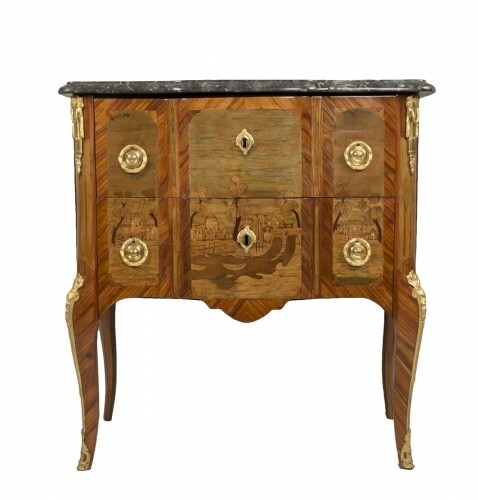 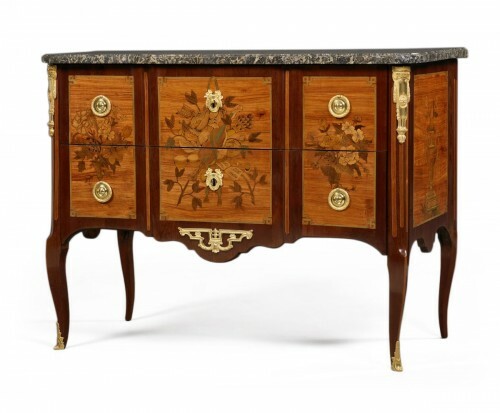 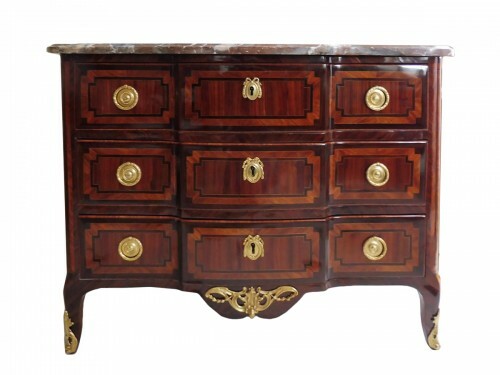 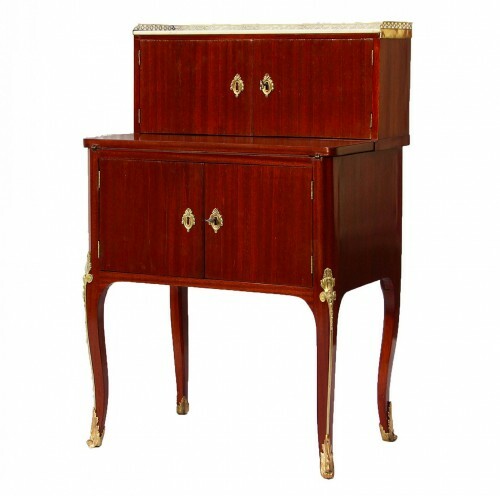 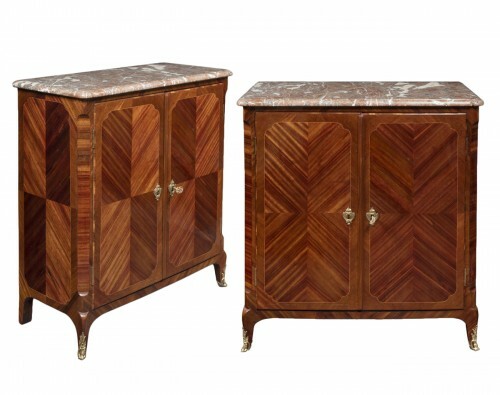 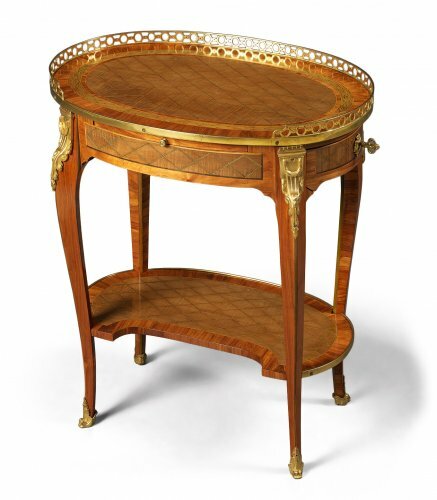 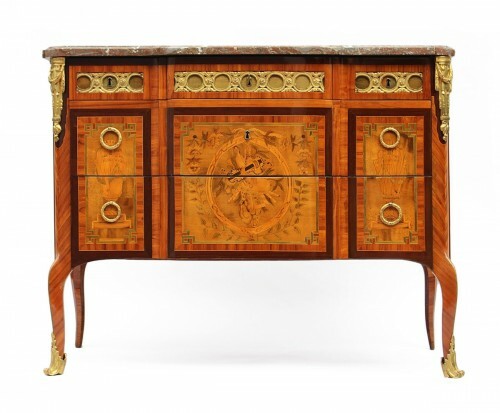 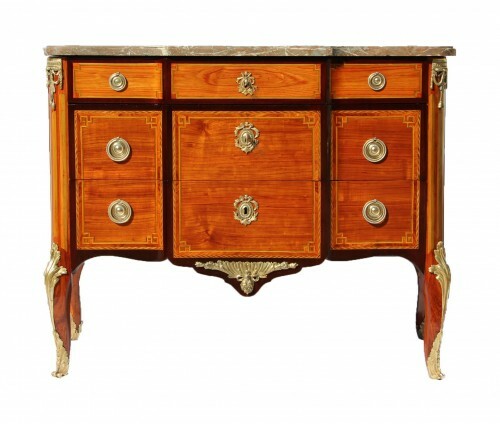 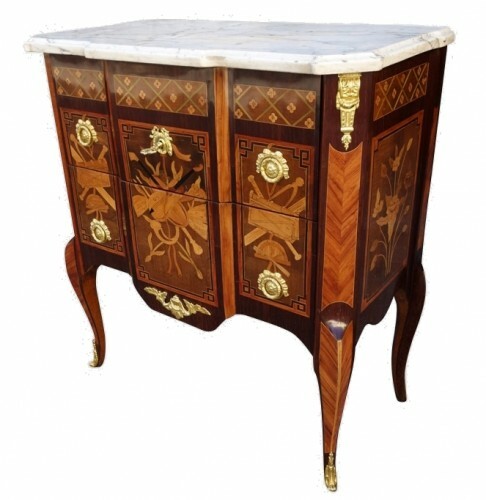 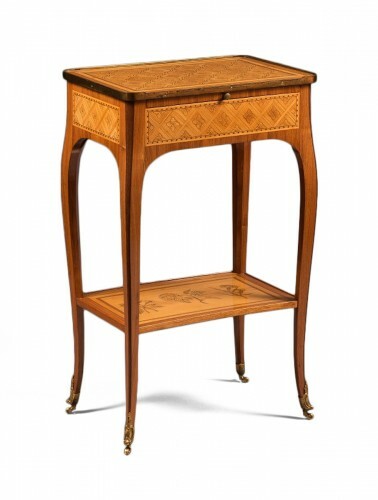 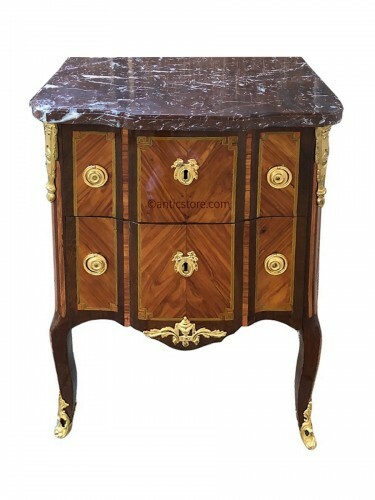 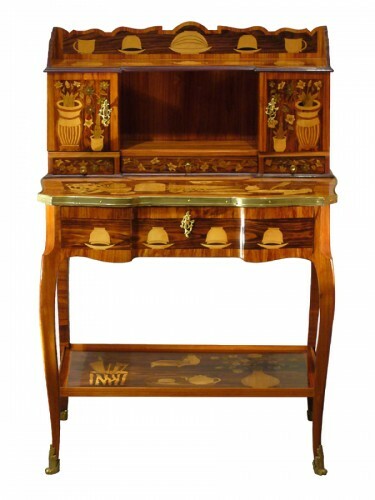 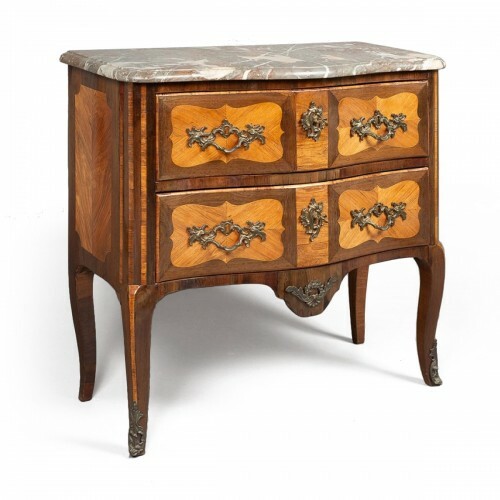 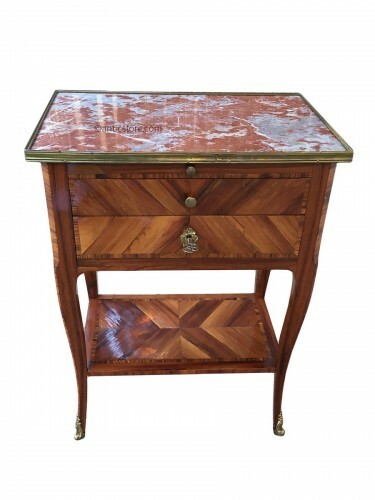 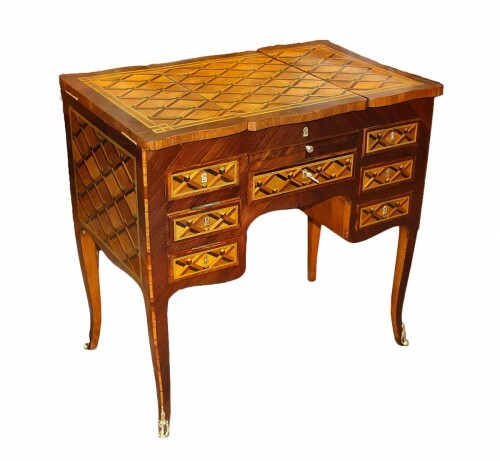 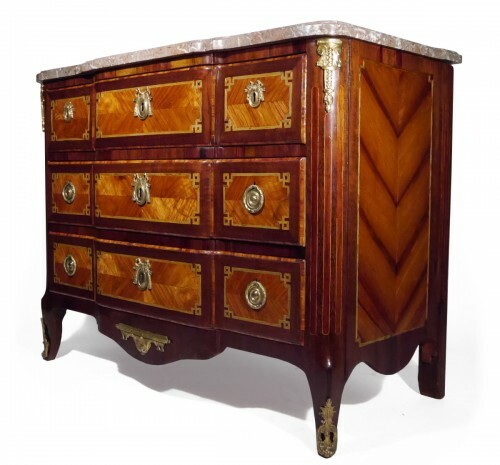 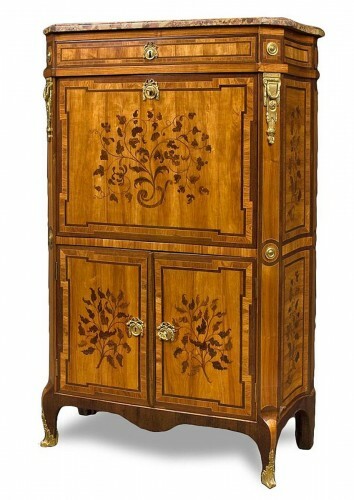 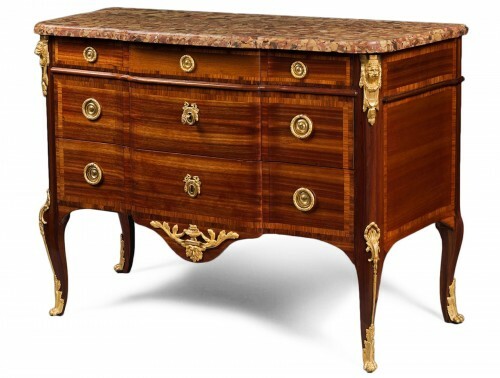 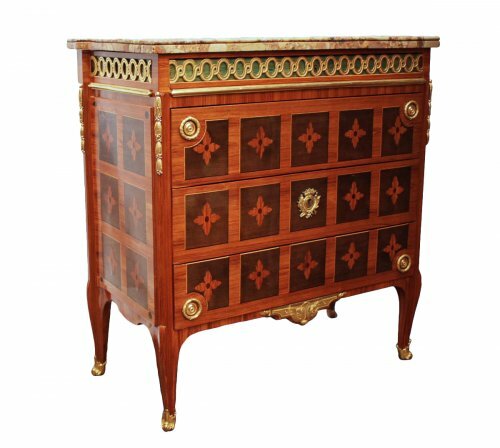 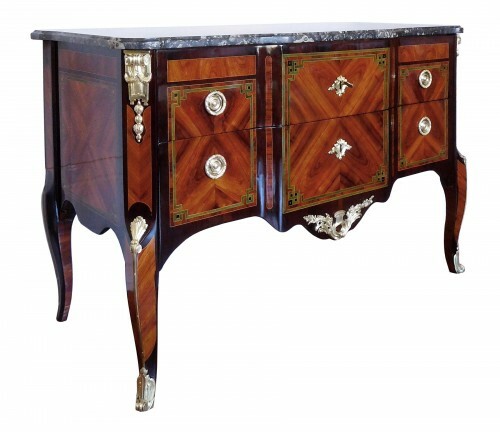 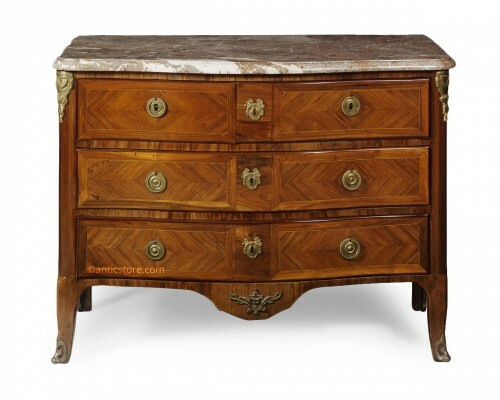 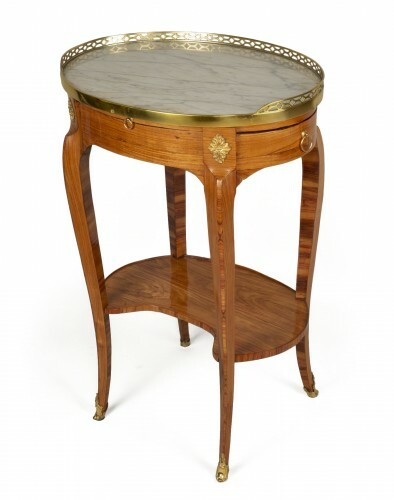 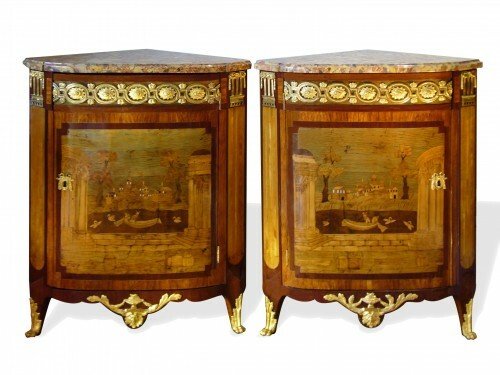 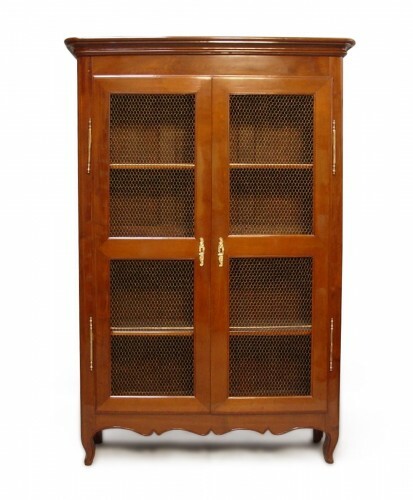 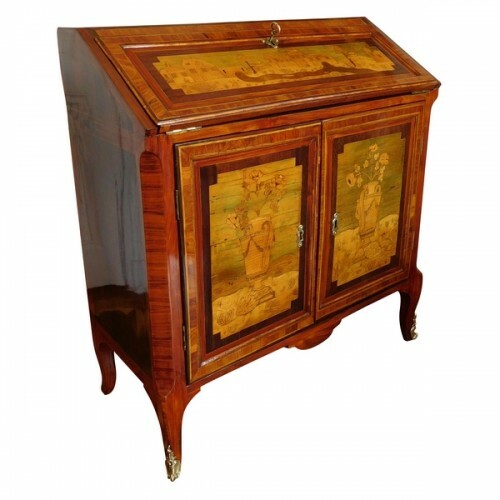 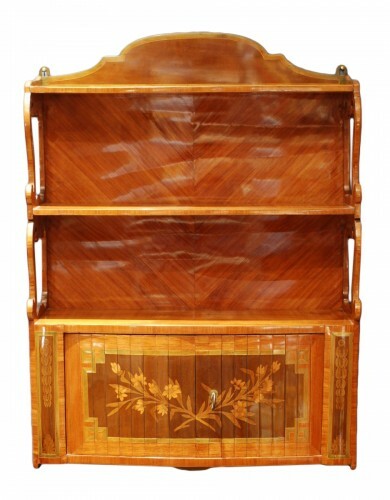 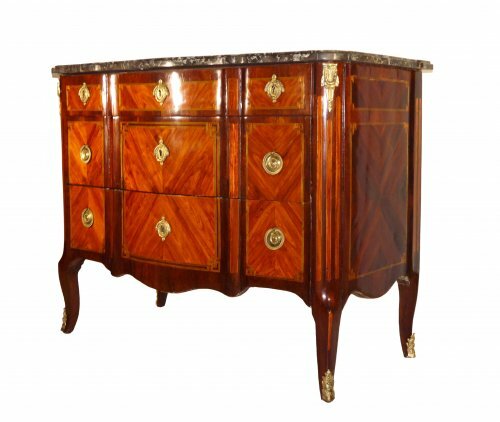 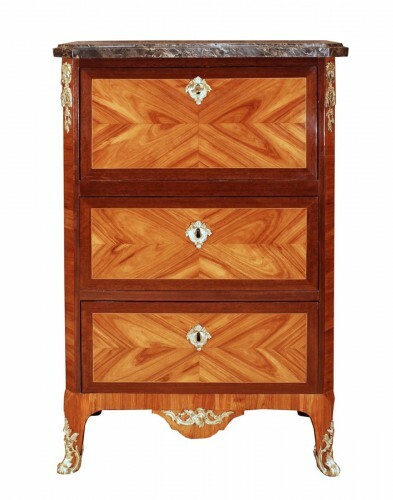 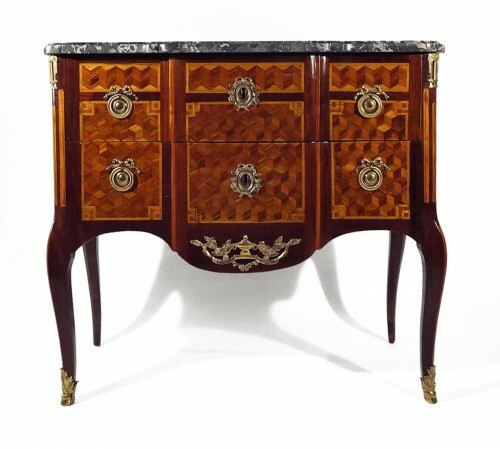 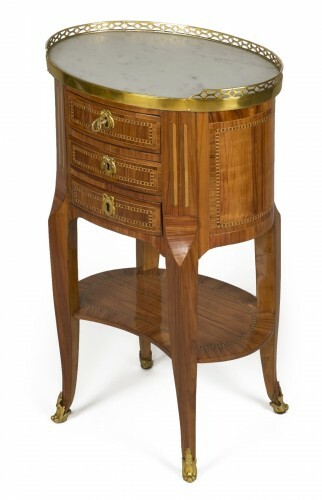 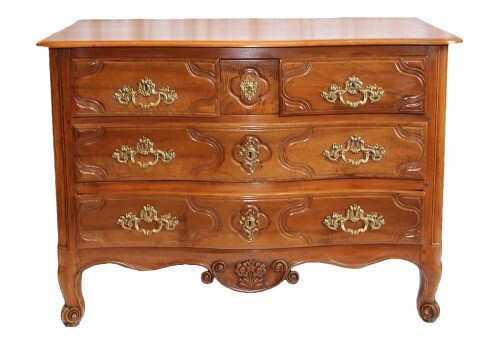 Transition furniture marks the progressive change of the Louis XV style to that of Louis XVI. 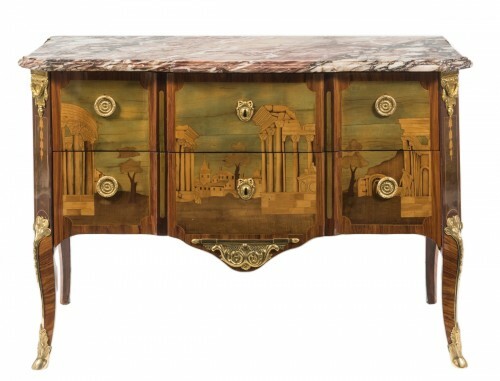 In 1763, the discovery of the cities of Herculaneum and Pompeii clearly inspire the artists of the period. 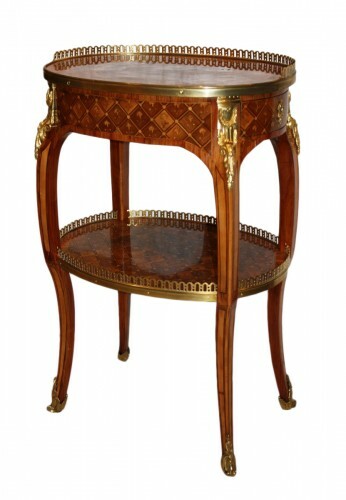 The exuberance of rococo curves is abandoned in favour of sobriety and rigour. 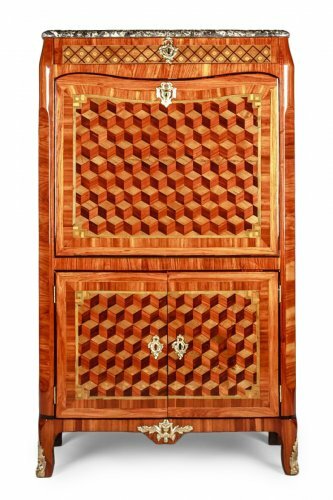 Lines become straight and perfectly symmetrical. 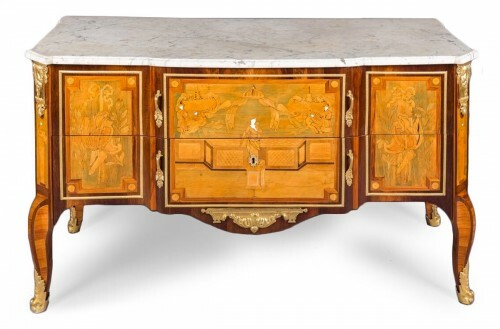 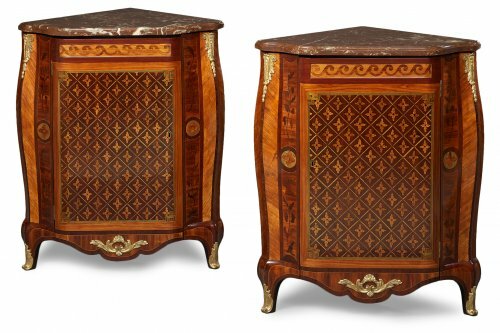 Ancient art stirs up the ornamental repertoire of Transition furniture: cabinetmakers borrow motifs from Greek or Roman Antiquity (fluting, ribbons, egg-and-dart friezes, laurel leaves, columns, and so on). 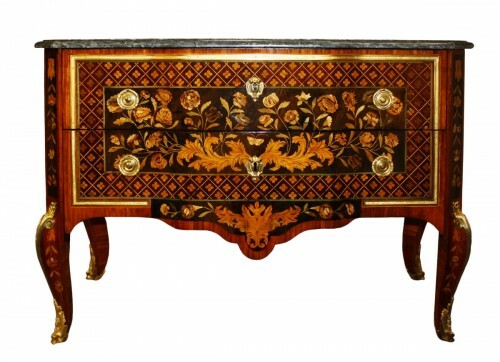 Marquetry in the form of cubes, quatrefoils, butterfly wings and "Greek style" nets are representative motifs. 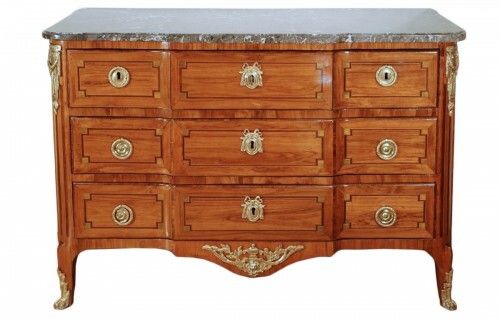 Sycamore, amaranth, rosewood and kingwood are frequently used. 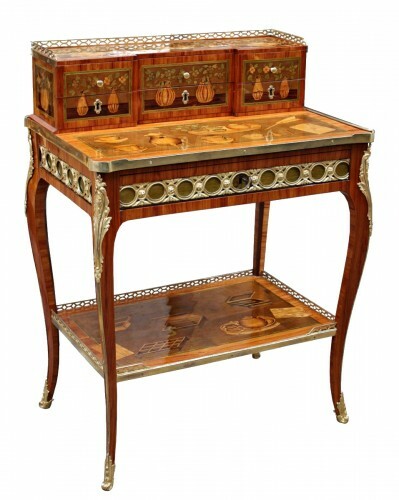 Surfaces are adorned with rosettes, tracery and palmettes in finely worked and gilded bronze.